These two shipping companies are actually successors of the once-dominant Viva Shipping Lines and its legal-fiction companies Sto. 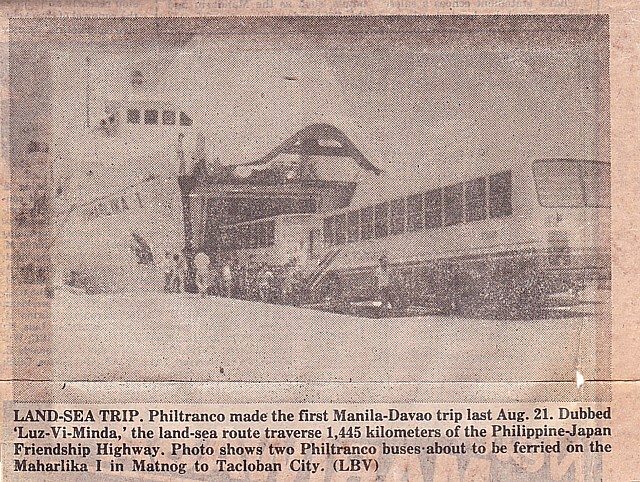 Domingo Shipping Lines and DR Shipping Lines which once dominated the seas of the old Southern Tagalog region before four provinces of it were spun out as the MIMAROPA region. These two companies were founded by the sons of the founder of Viva Shipping Lines, the widely-known Don Domingo Reyes or “DDR” to many. This founder was a powerful man during his time as he was the landsman in the Bondoc Peninsula in Quezon of the martial law dictator then. Don Domingo Reyes’ main base was Bondoc Peninsula although most people thought it was Batangas City and Lucena as he has his bases of his shipping there and people did not know of Villa Reyes in San Narciso, Quezon where he built his first wooden motor boats that were called batel in the region. 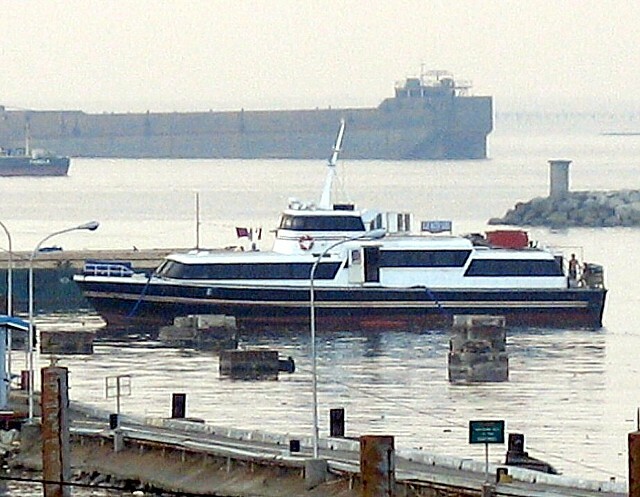 The Blue Magic Ferries was first to be established among the two. This came into existence when the operations of Viva Shipping Lines, etc. were already winded down and its ships being disposed already. Almost all of the older ships of the Viva Shipping combine were sold and most to the ship breakers. 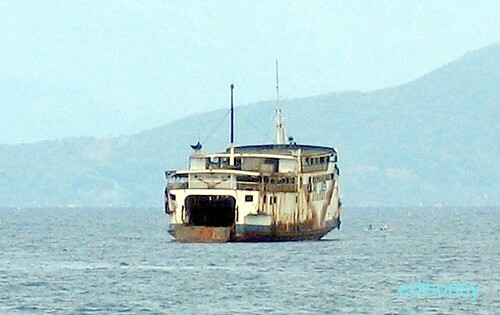 Maybe that will be the logical fate since the Southern Tagalog region has a surplus of ferries then when two Zamboanga shipping companies (the Aleson Shipping Lines and A.S. Sakaluran) and a Cebu shipping company (ACG Joy Express Liner) even tried their fates there (none was successful, however). Some fastcrafts of Viva Shipping Lines somehow survived and these combined with the remains of ACG Joy Express Line. This company started in shipping with the Sea Cat vessels that first operated out of Cebu and had routes to Bohol and whose founder is a well-known scion of Cebu who is Alvin C. Garcia (hence the initials). From what I can gather, Blue Magic Ferries is a sort of partnership between two sons of Don Domingo Reyes and Alvin C. Garcia. Blue Magic Ferries was able to accumulate at least five ferries with two ROROs and two fastcrafts and a catamaran High Speed Craft (HSC). The ROROs were the Blue Water Princess 1 which was known as ACG Joy 8 in ACG Joy Express Liner before. The other RORO was the Blue Water Princess 2 which was the former Asia Brunei of the Trans-Asia Shipping Lines. The High Speed Crafts of Blue Magic Ferries that I was able to verify were the Blue Water Queen, the Blue Water Lady and the Blue Water Lady II. The first was the former Our Lady of Mt. 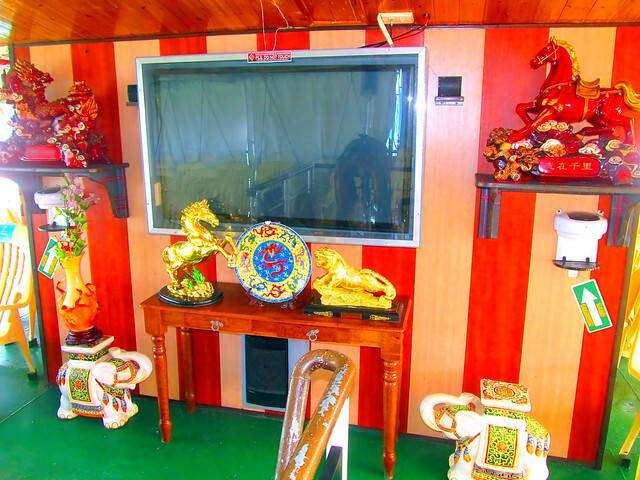 Carmel of DR Shipping Lines which was purchased from Sun Cruises of Manila. The second was the former Sea Cat 25, a catamaran of ACG Express Liner and the last was the former Our Lady of Fatima of Sto. Domingo Shipping Lines. Trouble first struck Blue Magic Ferries when the Blue Water Princess 1 was hit by storm waves while on a voyage from Lucena to Masbate which was an old route of Viva Shipping Lines. It seems the ship’s rolling cargo slid unbalancing the ship which then tried to seek refuge in western Bondoc Peninsula but capsized when the ship struck the shallows. This unfortunate incident happened in 2007 and it resulted in some casualties. To a beginning struggling company this type of incident can be hard to surmount especially if the company has other problems. 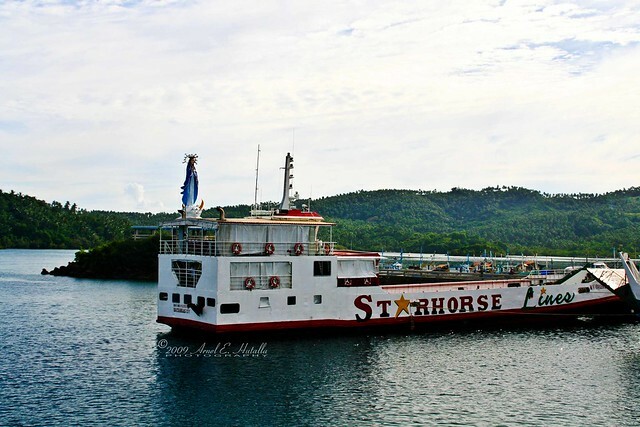 Soon, as expected, Starhorse Shipping Lines was able to secure a transfer to the Lucena-Marinduque route and they chartered more ferries from DBP Leasing Corporation until their series reached the numeral “VIII” (however there was no “III” and “IV” but reports then said they purchased the Don Martin Sr. 6 of the defunct Palacio Lines of Cebu and Samar but this is missing now). 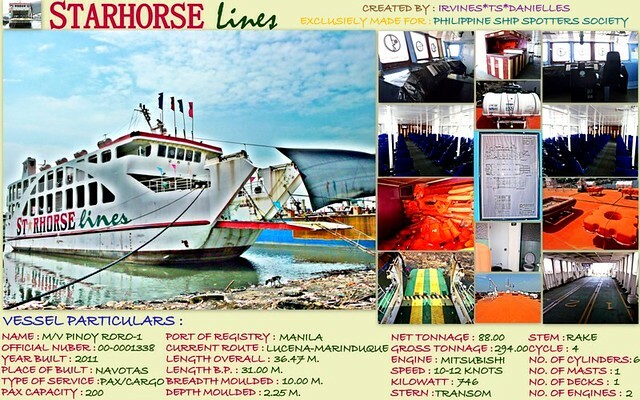 So for a time, Starhorse Shipping Lines was able to accumulate more ferries from DBP Leasing Corporation, most of which were LCTs. This time around Starhorse, the successor, emphasized cleanliness and passenger service, two terms that were unknown in the predecessor company. However, they were in the route where the new dominant shipping company of Southern Tagalog and MIMAROPA, the Montenegro Shipping Lines Inc. was operating. In the early days of Montenegro Lines, their predecessor company Viva Shipping Line applied the pressure on them, shall we say. This time around, it was already the pleasure of Montenegro Lines to return the favor. Greater trouble erupted for Blue Magic Ferries at the same time Starhorse Shipping Lines started operations. It seems they found out then that they have no Certificates of Public Convenience (CPC or franchise) which supposedly should still be in the possession of the Reyes family. Actually, things are really puzzling for me. From records I can gather, some 24 ships of the Viva Shipping Lines combine were confirmed sold (I can name the 24 individually) and some was as late as 2006. However, the family can show nothing for it in terms of ability to purchase new ships (especially by Starhorse Shipping Lines). And what happened to the franchises? These thing do not disappeared in an instant as it is the residual of any defunct transportation company and can even be sold for cash or hoarded. Were the proceeds returned to a “patron saint”? 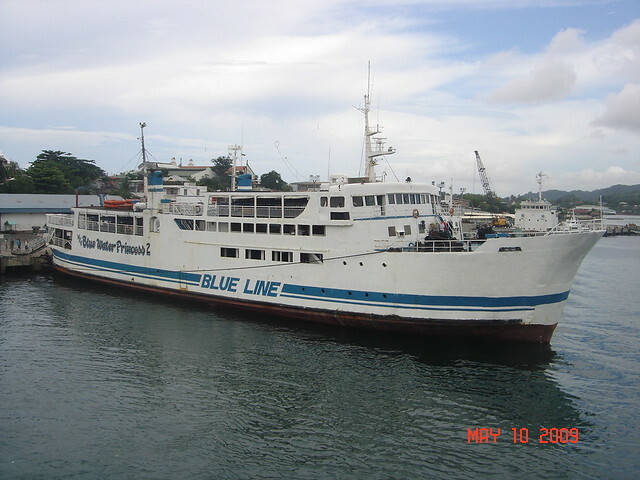 Blue Magic Ferries stopped operations in 2008. The Blue Water Princess 2 was sold to Navios Shipping Lines where she became their first vessel, the Grand Unity. Blue Water Lady II was sold to DIMC Shipping of Dumaguete where she became the Delta III. The fates of the other ships are unknown to me. Some might still be laid up and one was reported to be in a Navotas yard. Starhorse Shipping Lines isn’t doing too well lately. They have returned to DBP some ships (ironically some is already with their competitor Montenegro Shipping Lines) and now they are down to two, the Virgen de Penafrancia I and Virgen de Penafrancia II which are both LCTs. Heads-on, LCTs are usually at a disadvantage against short-distance ferry-ROROs although their Korean-made LCTs seem to be better than the ordinary LCT. One of the two, Blue Magic Ferries is now out. I wonder if Starhorse Shipping Lines can hold on and i hope they can. They are trying but sometimes the death of the founder proves insurmountable. Blue Magic Ferries and Starhorse Shipping Companies are two successor companies I have a hard time figuring out. I wonder if there are smokes and mirrors even in the predecessor company. As a last note, I have learned that Viva Shipping Lines still have some ships in storage in Lucena and San Narciso, Quezon. Will there be a rebirth? Or is it already too late and the family is too fractured now? I am still interested in the further developments of these successor companies of Viva Shipping Lines.